Scouting Report: Bill Self regularly reels in five-star and highly touted recruits, but this Kansas team is not full of youth and experience like so many others throughout the nation. They have plenty of veteran leadership, starting with senior forward Perry Ellis. Ellis often gets overlooked because he isn't the most explosive or exciting player ever, but few are as productive as he is. Ellis averages 16.5 points per game, while averaging nearly 53 percent from the field; he is unbelievably efficient. He has a good jumper that opens up the floor, and a smooth post game. He isn't the conventional young superstar that takes over in March, but he certainly could become a big name by the time the season wraps up. The Jayhawks are also led by one of the nation's most dynamic backcourts, which includes sophomores Frank Mason and Devonte' Graham. For years, point guard play has really been restrictive for Kansas. They haven't had a difference maker at the position for a good number of years, until Mason broke out last season. Although undersized, Mason is not lacking in aggressiveness or will power. He is a solid scorer, but makes his name with his great passes and general control of the offense. He also is an extremely underrated rebounder, averaging 4.6 per game this season, good enough for third on the team. Graham was once an Appalachian State commit who broke out with his performance against Oklahoma just a few weeks ago. His 27 points helped lead Kansas over Oklahoma for the season sweep. Graham isn't big either but he is quick and excels through contact, making him a very tough guard. Another big factor is junior Wayne Selden, a sturdy veteran who does many things well. Selden averages around 14 points a game, but also rebounds and passes very well. Gifted with great size at 6'5", Selden is an absolute pain to handle for smaller guards. Those four give Kansas an incredibly gifted core that is as consistent and productive as anybody's in the entire nation. Though, there is plenty of talent beyond that. Three-point gunner Brannen Greene is wildly inconsistent but is lethal when left open, and extremely young Svi Mykhailiuk is starting to put it all together in his second year in Lawrence. Self can also lean on two productive role players in veterans Landen Lucas and Jamari Traylor, who are both gifted rebounders, and two young and improving players in Carlton Bragg and Cheick Diallo. The big names in this year's recruiting class, Bragg and Diallo have had a weird year. Diallo wasn't cleared by the NCAA for weeks on end, and is still learning the ropes of the collegiate game, while Bragg has played sparingly, due to the veterans on this team. Though, both have displayed a crazy amount of talent and potential, and they could make an impact come March. Verdict: For as good as Kansas has been in the regular season over the past decade (their 11 straight regular season Big 12 titles speak to that), they have been inconsistent in the postseason. Andrew Wiggins and Joel Embiid's group bowed out after two games, and Kansas didn't do much a year ago. But, this year's team is different and primed to do some serious damage. There isn't a team out there that has the meaningful experience that Kansas has, or the versatility they possess. They have a number of weapons down low, on the wings and from downtown, all who can score and hurt opponents in so many different ways. 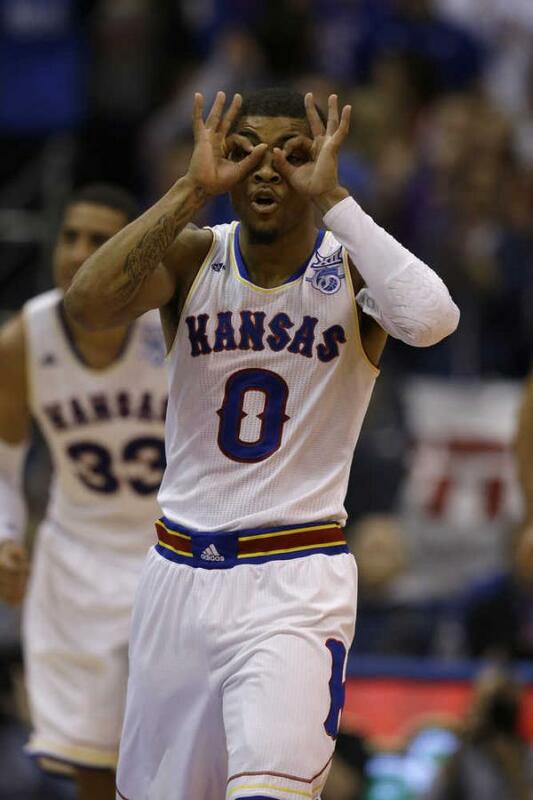 The Jayhawks will have to continue to hit the three ball and prove they can beat quality opponents away from home. If they can do it, this team is going to be absolutely terrifying. In a season of absolute chaos, Kansas may just be the consistent, steady team that is able to get it done when it all comes down to it.